ELKHART, Ind. 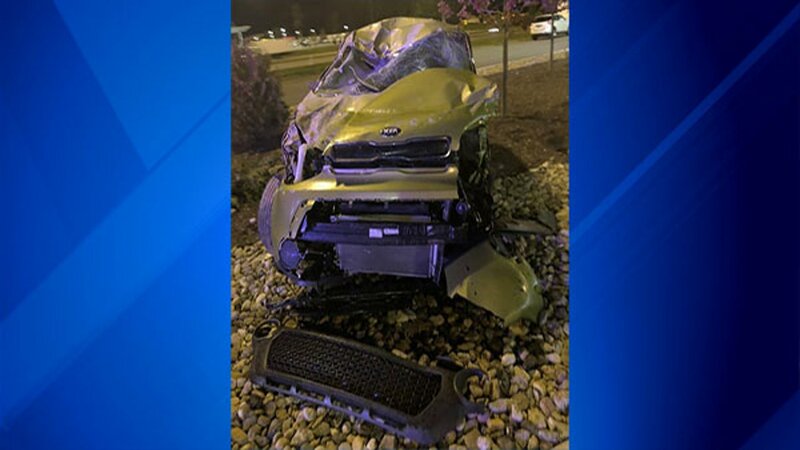 (WLS) -- An Indiana man said he felt like he was "in a dream" when he crashed a stolen car, police said. According to police, Joshua Gene Aaron, 36, of Elkhart, was found by an Indiana State Trooper Thursday evening after he crashed the car on the Indiana Toll Road. A man crashed a stolen car on the Indiana Toll Road Thursday. Witnesses told police that Aaron was speeding on an exit ramp when he went over a curb, hit a sign while airborne, and rolled the car. When approached by the trooper, Aaron gave a false name. He was taken to the hospital, where he caused a disturbance. The car was found to be stolen and Aaron had several credit cards that belonged to the car's owner. Toxicology results are pending and Aaron is being held at La Porte County Jail. He has been charged with vehicle theft, disorderly conduct and identity theft, among other charges.